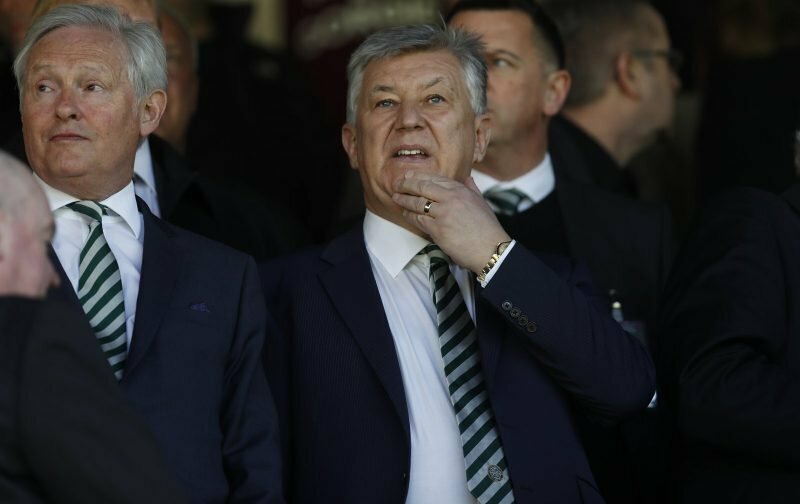 Davie Provan has warned Peter Lawwell that Tuesday’s match against AEK Athens is more significant for the Celtic chief executive than it is for Brendan Rodgers. Over the course of a dramatic few days the great Celtic business model has been exposed with supporters seeing the evidence on the park against AEK Athens and Hearts. Events took a dramatic turn on Tuesday when Rodgers voiced his frustrations at the lack of transfer activity on the eve of the home match against the Greek champions. As Celtic laboured to a draw, largely caused by two easily identified weaknesses in the side, news came through that Aston Villa had signed John McGinn. With Radio Scotland reporting boardroom unhappiness at the managers comments the rift has escalated culminating in the 1-0 defeat from Hearts and the antics of Dedryck Boyata and his agent. The scrutiny will intensify as Celtic prepare to face AEK, the cameras and microphones are on Rodgers with the directors in the background almost helpless at this stage. If Celtic go through to the play-off stage it’ll be viewed as a success for a manager working with one hand tied behind his back, if the hoops drop into the Europa League the focus on anger will be directed at the boardroom. “They don’t mind watching the team taking a hiding from Europe’s best as long as there’s £30m in it for them,” Provan claimed about the directors, writing in The Sun. “Seems the extent of their ambition is Ten-in-a-row. Nothing wrong with that if domestic dominance is your thing but they should spare us the nonsense they’re serious about Europe. “Celtic’s European ambitions ended in Seville. Since then, the budget for wages and transfer fees has been shrinking. Against that backdrop, Gordon Strachan and Neil Lennon did brilliantly to reach the last 16 of the Champions League. “But the downsizing saw Lennon become so disillusioned he swapped Celts for basket case Bolton. “Ronny Deila only got the job because he came cheap and could be worked from behind. We all know how that ended. “No surprise then that the appointment of Rodgers caused so much excitement. Fair to say, at the time Celtic needed Rodgers much more than he needed them. Rodgers is the most popular figure at Celtic since Martin O’Neill and Henrik Larsson, he has made mistakes in the transfer market but has transformed the team and balance sheet. Without the Irishman there would have been no back-to-back trebles, the top tier of the stadium may have been out of bounds and there wouldn’t be offers of £7m and £9m coming in for Stuart Armstrong and Dedryck Boyata. Success of the pitch can cover up for all sorts of problems behind the scenes, if that success comes to a halt on Tuesday every aspect of the club will be getting criticised by the most demanding audience around- the Celtic support.